Are you a subscribing member of Face-to-Face with Doug Schoon? It’s web-based education posted on a regular basis by Doug Schoon for a small monthly subscription fee. It’s ideal for any level of nail professional and available to anyone with access to the internet — so inability to travel is no longer a reason for missing out on education. Each episode is roughly 15-20 minutes long and the subscription includes a searchable database of information. As a scientist, Doug explains many nail-related issues in a scientific, non-product-specific manner. Most of the content comes in response to questions that nail professionals have submitted to him. 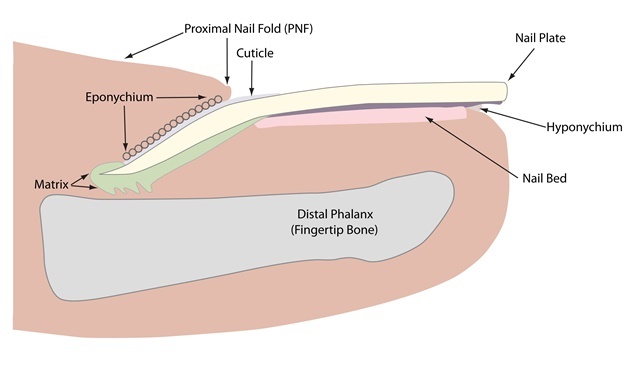 Episode 86 contains information about some nail anatomy misconceptions. Doug has uploaded it to YouTube to allow you to share it with each other without a subscription. You can also share it with your clients to promote a clearer understanding of this topic. An interesting question you’ll be able to answer after watching this video: What do adult stem cells have to do with nails? Let me know in the comments what your favorite thing was from the video and be sure to share it so we can continue to spread accurate nail anatomy information and elevate the standards of the industry together!